I went out today thinking that even though Halloween is not officially until tomorrow, that there would be some people in costume roaming about. 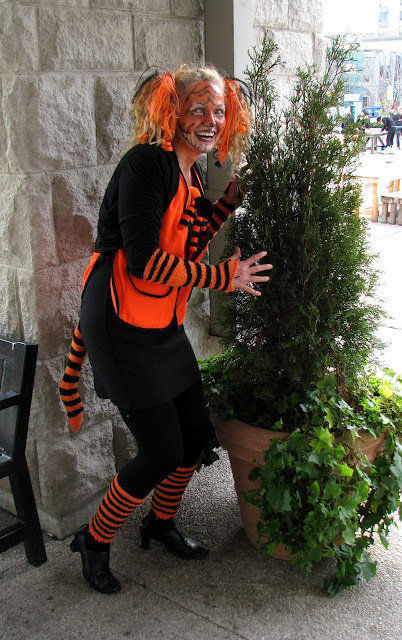 The only one I could find was this more-cute-than-scary Tiger, so she's my official Halloween post for this year. Have a Grrrrrrrr-eat Halloween!